Scott clearly has a passion for Oracle APEX. In the time since he's left Forms behind, he's recorded a video series; written a book; trained developers around the country; answered forum questions from around the world; and written many posts on all things APEX, and some things jQuery. Scott's been consulting with clients around Perth since 2000, enjoying his time with the Sage Computing crew for about a decade. He was recognised as an Oracle ACE in 2014 and he also loves science & astronomy, possibly a little too much. As APEX matures, so does my usage of the product, especially with features that have been around for a long time. This session will explore the usage of 3 of my favourite features you've no doubt heard about before, but in ways you may not have thought to use them. Dynamic actions are a clear favourite, but how do I use them on a daily basis, now that I've had lots of practice? Build options are underrated, in my humble opinion. I have 3 use cases for you to consider. The REQUEST value. Yup, I'm really going with this one. Documented uses typically relate to the submission process, while you could also be using it to parameterise workflow. I'm going to cover 3 uses of each feature, so be prepared to come out of this session with a dozen new ideas. Scott clearly has a passion for Oracle APEX. In the time since he's left Forms behind, he's recorded a video series; written a book; trained developers around Australia; answered forum questions from around the world; and written a variety of posts at grassroots-oracle.com. 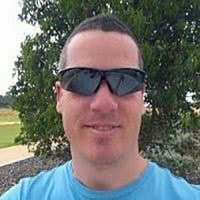 Scott has been consulting with clients around Perth since 2000, enjoying his time with the Sage Computing crew for just over a decade. He presents regularly at Australian events, and was recognised as an Oracle ACE in 2014. and often weaves a side interest in science & astronomy into his work.